Think that just because you use a chainsaw to hand carve sculptures out of logs that your job is safe and irreplaceable? Think again. 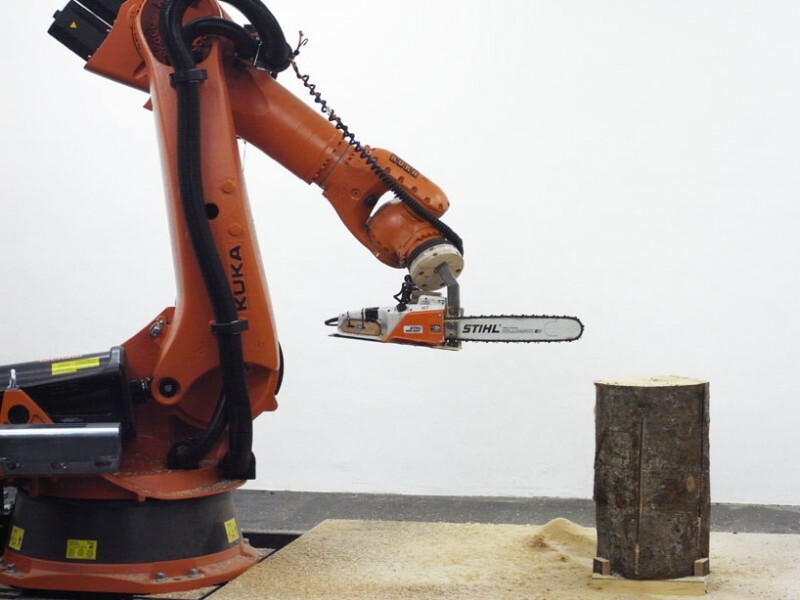 One robotic articulating arm with chainsaw attachment is gunning for your job. 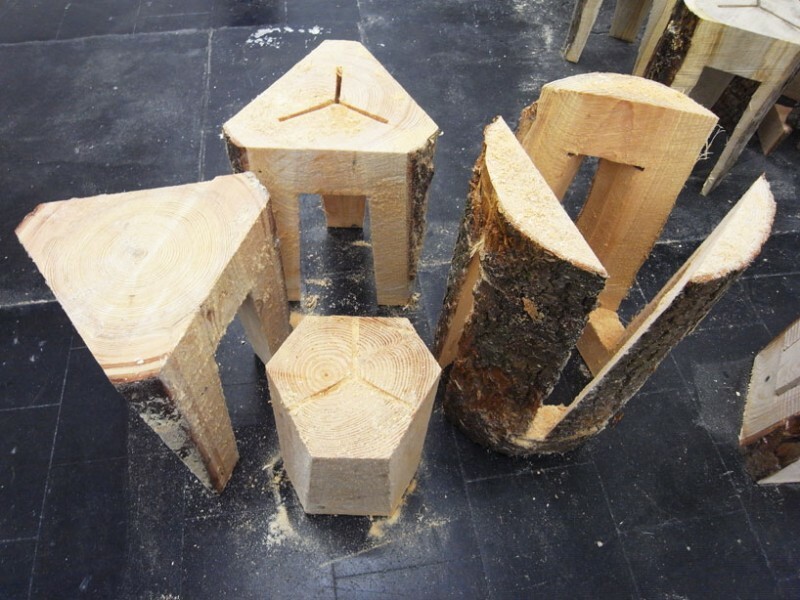 What is the most expensive way to cut rustic log stools? 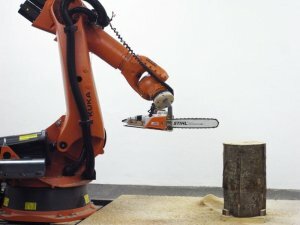 I don't know, but a CNC controlled articulating arm that is wielding a chainsaw is probably high on the list. 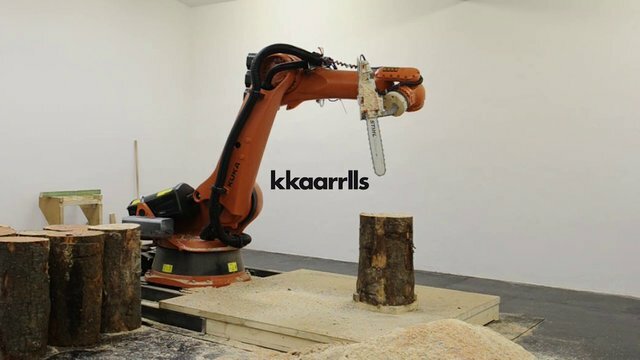 You heard right, out of all the things a CNC powered chainsaw could be sculpting, it has the task of cutting out rather simple looking stools. I guess in this economy even the robots are under-employed. Still, the idea behind a CNC chainsaw is cool, but unfortunately it takes a little over a half-hour to cut out just two stools. The speed at which the electric chainsaw can cut is very limiting to the overall performance. They need Tim Taylor to give them more power... or just use a gas saw. It would be interesting to see how well it can sculpt something more complex.